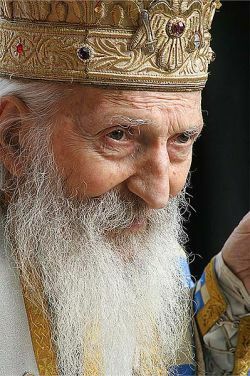 Our community is close with its faithful prayer and its fraternal love to the Serbian Church, which yesterday (Thursday, 19 November) celebrated the funeral of His Beatitude the Patriarch Pavle, who died on 15 November at the age of 95.
Who among us knew him during his life remember him as a spiritual man of great mercy and compassion towards all the people and all the creatures. 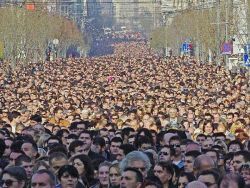 We are sure that he will intercede from Heaven for the Serbian people, the Serbian Church, and for all the Christians and all mankind as well. 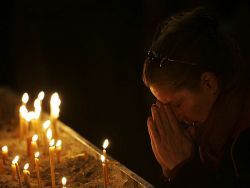 Our prayer is particularly offered for who will be called to choose the new Patriarch of the Serbian Church, so that the Holy Spirit will grant them light and discernment. "We feel the pains of all the human beings as ours, because all the tears, all the physical and moral wounds, all the drops of blood shed by people are brothers' tears, brothers' wounds, brothers' blood. It is better to suffer injustice than to cause suffering to others, who may belong to a different Christian Church but still suffer pains like us. Even in front of the most bitter sufferings, may the force to behave as true Christians be granted upon us."